Climate change has the potential to increase water temperatures, change precipitation patterns, and alter river hydrographs in northern latitudes. Because anadro­mous fish use both temperature and hydrological cues for migration, they are especially vulnerable to the impacts of climate change during their seasonal movements into and out of freshwater. Atlantic salmon (Salmo salar) is a coolwater fish species whose juvenile downstream migration is cued by an early spring temperature threshold and whose time in the river corridor is influenced by seasonal discharge. Downstream migrating smolts must complete migration before downstream river temperatures become too warm. Using a simulation model, we examined the effects of change in water temperature and hydrograph timing on downstream migration of Atlantic salmon smolts in the Connecticut River, USA. Using historical patterns of temperature and discharge along with climate change scenarios for the northeast United States, we examined how change in the timing of the early season temperature cue, increase in water temperature, acceleration in the rate of spring warming, and altered discharge rates might affect smolt survival. Projected future temperature increases and changes in discharge decreased the mean and increased the variance in annual smolt survival. Delays at existing dams exacerbated both of these effects. For a migrating coolwater fish, the entire complex of climate change effects (absolute temperature increase, rate of spring warming, changes in discharge associated with altered hydrograph) must be considered together and interpreted in the context of existing human alterations of the ecosystem. Scientific societies, non-profits and their critical role in the future of natural resource management in the U.S. In the United States there are estimated to be over 1.6 million non-profit organizations involved in a vast diversity of purposes such as neighborhood social organization, churches, hospitals, educational institutions, and highly sophisticated international organizations. Many are small with only volunteer leaders and staff while some, such as The Nature Conservancy, are multi-billion dollar organizations. The American Fisheries Society with its’ origin in 1870 as the American Fish Culturist Association, is considered to be relatively small with about 9,000 members, a staff of 22 and an annual budget of around $4 million. In conservation and scientific fields, non-profit organizations have played a critical role in providing solutions to challenges that state and federal organizations are not suited to address. Increasingly, the political direction in the U.S. is toward more limited state and federal government, yet the need for conservation and environmental responses continues and even expands. As a result, it is anticipated that non-profits will play an increasingly important role in addressing conservation challenges in the future. With a mission to advance sound science, promote professional development, and disseminate science-based fisheries information for the global protection, conservation, and sustainability of fisheries resources and aquatic ecosystems, the American Fisheries Society has to balance multiple and sometimes competing demands for time and resources particularly with policy issues. AFS does this through several integrated efforts. First, the Society has decided to build a policy staff with professional fisheries expertise and experience. These staff work with AFS elected and volunteer leaders to develop policy positions and to convey science information to policy-makers in the U.S. Congress. Second, AFS has built strategic partnerships with other science organizations with similar goals. For example, AFS has become a key member of the Consortium of Aquatic Science Societies (CASS) which includes four other science-based non-profits and which provides for the opportunity to coordinate efforts resulting in greater impacts. Third, AFS has partnered with the larger conservation community through groups like the Theodore Roosevelt Conservation Partnership which includes outdoor industry representatives and much larger organizations that represent sportsman and related conservation organizations. Finally, AFS has developed effective formal partnerships with key federal agencies to provide them with opportunities to engage their staff in AFS-sponsored science activities and utilize the non-partisan role of AFS to facilitate science and policy discussions with Congressional members and staff. All sciences of various disciplines more or less have two directions of focus, i.e. basic and applied. Although fisheries science is obviously an applied science, it includes many categories of basic sciences, such as biology, chemistry, physics and even mathematical procedures. Without basic elements, applied sciences can become static and cannot make continuous progress to contribute to society. The relationship between eel science and public society is an example of activities by members of the Japanese Society of Fisheries Science that include both basic and applied scientific approaches together with outreach activities for contribution to public education and awareness. From the ancient Greek age of the great naturalist Aristotle 2400 years ago, people started to have curiosity about the mystery of the reproductive behavior and life histories of freshwater eels. This mystery lasted thousands years, but has now been completely solved by collecting spawning-condition adult eels in 2008 and eel eggs in the spawning area of the Japanese eel in 2009 and later years. Besides the spawning area issue, there have been many significant discoveries made in eel science. Recent molecular-genetic phylogenetic analyses revealed the deep-sea origin of freshwater eels and the evolutionary history of angulliform fishes. Taxonomic revision of genus Anguilla was made by both molecular and morphological analyses and a new species named Anguilla luzonensis was discovered in the small mountain streams of Luzon Island of the Philippines. “Sea eels” that did not migrate upstream in rivers, but instead spent their whole lives in marine habitats were discovered as an unexpected ecophenotype by otolith Sr/Ca ratio analysis in Japanese and European eels. Such basic discoveries were published in many scientific papers reporting about various aspects of the life history, migration, recruitment, evolution, population structure, osmoregulation and reproductive physiology of anguillid eels. In parallel, intensive aquaculture research has been done in laboratories for more than a half century. Steady progress in the reproductive physiology and development of rearing techniques of eel larvae has been made through experimental successes in establishing artificial production techniques of glass eels as seedlings for eel aquaculture in Japan in recent years. Both fieldwork in the spawning area and experimental studies in the laboratory have made progress by stimulating each other and exchanging knowledge. However, in contrast to the big progress in eel science recently, the eel populations rapidly decreased worldwide in past decades. To address this crisis, scientists started to make actions for eel conservation with the help of the general public that included monthly monitoring of glass eel recruitment by the “Eel River Project”, an annual public symposium called “Unadon no Mirai” (the future of eel kabayaki) held on the Day of the Eel in July, which is organized by the East Asia Eel Consortium, and the establishment of the Japan Eel Council for sharing information among various stakeholders. Also among these activities, “Eel Planet”, a synthetic research and public outreach program for eel science, is a unique project that aims to conserve eels using the knowledge obtained by the scientific community for a better coexistence of eels and humans on this planet. This project is being carried out for a better overall societal understanding of scientific and cultural aspects of eels that include eel fisheries, aquaculture, trade of eels, eel consumption, and eels in art, religion or legends etc. As its outreach activities, the eel caravan (an eel lecture tour) has also started in 2015 for elementary schools and high schools to educate children, students and their teachers about eels, their environments and the conservation crisis for these species, many of which are now listed on the IUCN Red List. 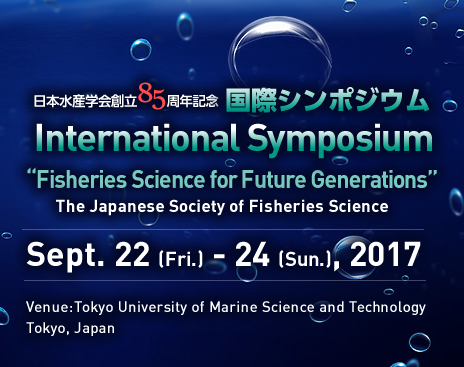 These types of conservation and education efforts from the scientific community can not only provide knowledge, but can hopefully attract the attention of both the media and government administrators to promote an atmosphere of eel conservation for effective management actions in Japan and East Asia, and all over the world.